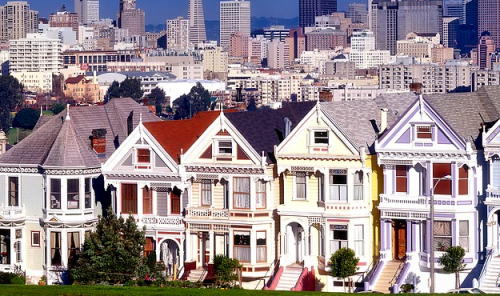 Aunt Ann’s In-House Staffing has accumulated over 60 years of experience successfully matching the personalities and staffing needs of San Francisco Bay Area households with the characteristics and work experience of professional, highly skilled nannies, housekeepers, estate managers, private chefs, personal assistants and more. As a third-generation, family-owned business, we’ve earned the trust and loyalty of both employers and domestic professionals. That’s why we are called upon time and again by established clients as their needs for domestic help expand. While there are many staffing agencies today, we have been earning our reputation for providing exemplary nanny, housekeeper, private chef, estate manager, and personal assistant services for over 60 years. 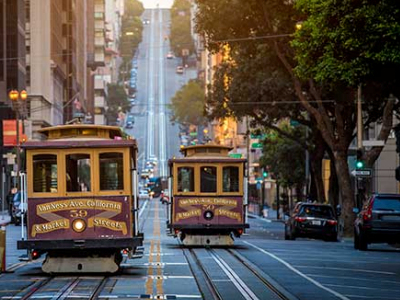 Why Do San Francisco Bay Area Families Choose Aunt Ann’s In-House Staffing? The Aunt Ann’s team places exceptional domestic professionals in great jobs offered by great families. Part of the reason we can do this is that we set the highest standards in the industry for hiring practices. Our comprehensive screening process protects both our clients and our candidates. In the late 1980s, we were the first in-house staffing agency to include independent background checks as a standard for the industry in screening candidates for placement in private homes and the first agency in the SF Bay Area that required work authorization for agency representation. We accept job orders only from clients who follow wage and labor laws and who offer respect partnerships with resources for wage and labor. We partner with well-respected industry experts and share those resources with our clients and domestic staffing candidates to make sure they have access to wage, labor and payroll experts. When you use Aunt Ann’s In-House Staffing, you can be sure your domestic employment arrangement is mutually respectful and legitimate. At, Aunt Ann’s In-House Staffing, our goal is to bring together families and domestic professionals who are perfectly suited to each other. Unlike online services, we meet face-to-face with our candidates and our employers to get to know their personalities, working style, and employment preferences. While our application and reference-checking procedures allow us to match skill sets to job duties, it’s the outstanding listening skill of our team members that enable us to discern the perfect fit between our clients and the nannies, personal assistants and housekeepers they seek. It’s our fundamental duty to help candidates find their dream jobs and families to find their dream employees. We love connecting perfectly matched families and domestic professionals! Aunt Ann’s has a 60-year track record of in-home domestic staffing that has allowed our team to build relationships with three generations of our clients’ family members. A testament to our reliable, consistent customer service is that we often receive phone calls from individuals whose childhood nannies were hired through Aunt Ann’s and who are currently looking to hire a nanny for their children, or from families who loved the housekeeper we matched with them and are now looking for a personal chef or estate manager. Our clients return to us because they know they can trust us to be discreet and consistent in matching them with compatible in-home staffing time and again. All of Aunt Ann’s domestic and childcare professionals have 2 to 40 years of experience, and many of them have formal training in their area of expertise. 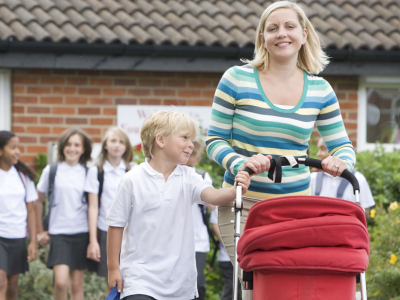 We personally interview and comprehensively screen all of our domestic staff candidates, making us your source for trustworthy, competent nannies, housekeepers, estate managers and any other domestic professionals who will interact with your family. 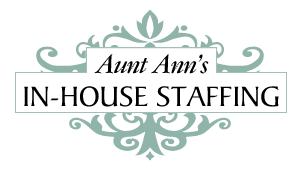 At Aunt Ann’s In-House Staffing, we don’t believe in charging you any fees until we’ve successfully placed a domestic professional in your home. We offer an up-to-five-day work trial period to our clients and job candidates before charging our clients a placement fee, and a one-year fee credit applicable to your next hire if there is an unexpected termination of services after the trial period ends. And, unlike other staffing companies, we never charge a registration fee to start the search process—a savings for you of between $150 and $500! Also, our placement fees for domestic help and nannies are considerably lower than those of other staffing companies and include more services, such as a legal job offer and employment agreement drafted by an employment and labor law attorney. To learn more about our household and nanny staffing services, give us call at 415-749-3650 or email us and put our 60 years of staffing success to work for your family.